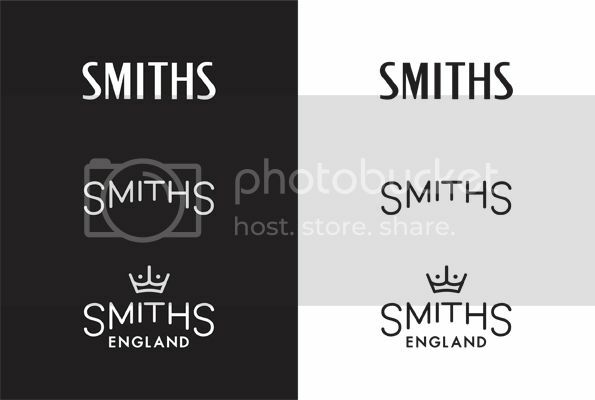 Far right version gets my vote too.Those proportions look perfect now.The older Smiths crown logo would be the icing on the cake. Really excited about this potential model! It would be good to see which variation of the 'Smiths' logo works best. With the other logo... maybe it makes it to close to Rolex original? But it does look really nice! This is simply great! Please, Eddie, please! That would be very tempting! No more changes, it's off to production. Not normally a fan of the manboobs logo, but that looks fantastic! Last edited by seikopath; 17th August 2018 at 17:18. Awesome.....My Christmas present is all sorted. 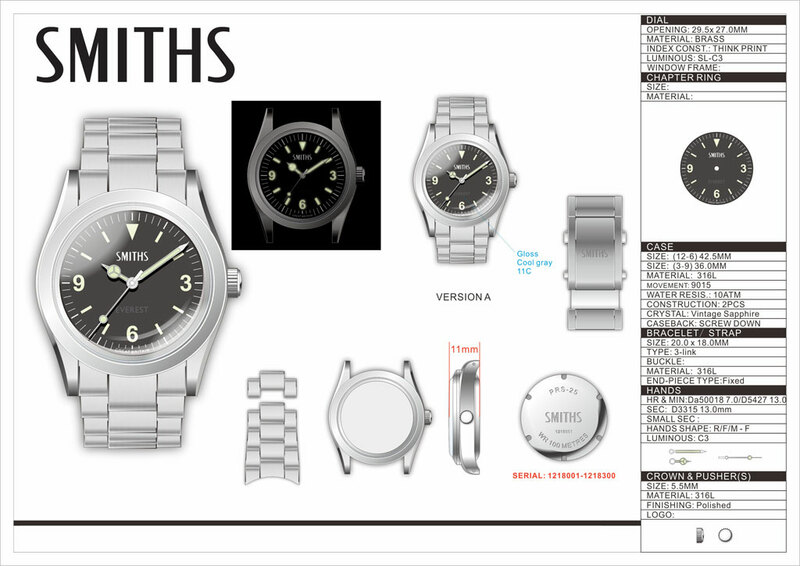 ^^^ which is why if you can make the 36mm as shown in your latest design you should have people lining up to buy. Not many people have the cash or willing to spend that kinda cash for an original 1016. Interesting how those hands are not touching the index markers but on your 1016 they do. Last edited by Faide; 17th August 2018 at 17:19. You know that visual image can never be forgotten now. Great news, it looks like this one is going to be another belter. Can’t wait! Looking forward to this release, I hope it will be my next incoming. This should please some but will it please all? 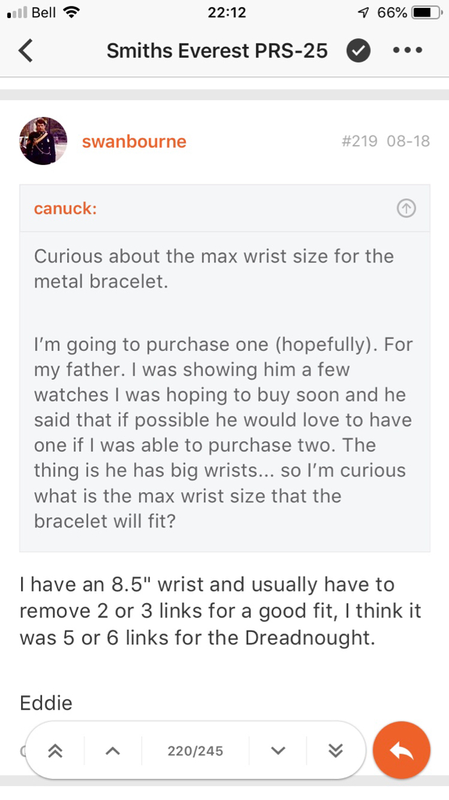 Curious about the max wrist size for the metal bracelet. I’m going to purchase one (hopefully). For my father. I was showing him a few watches I was hoping to buy soon and he said that if possible he would love to have one if I was able to purchase two. The thing is he has big wrists... so I’m curious what is the max wrist size that the bracelet will fit? I have an 8.5" wrist and usually have to remove 2 or 3 links for a good fit, I think it was 5 or 6 links for the Dreadnought. He’s the same size so good to know for future reference as well. Last edited by canuck; 18th August 2018 at 18:03. It's good to see that this watch has brought some new members to the forum. I'd like to say hello and welcome on behalf of everyone here and that I look forward to your positive contributions throughout the forum. I wonder how its going to compare to the Zeno Explorer, which is pretty much identical in size and appearance. Thank you. I recently discovered Timefactors and the fantastic watches it puts out, and managed to acquire a Speedbird III. It's down the rabbit hole from that point onwards. As forums go it can at times be a 'rough ride' as we have very little moderation, however the knowledge available about watches and pretty much anything else life can throw at you is immense, enjoy your stay. It’s considerably larger than the Zeno. I’ve had both and found one too small and one too big! We’re a picky bunch. This looks awesome, I'm on the queue for one. I'm wondering if /hoping that the change to a saphire crystal and smaller case size will act to dampen the sound of the movement which is sometimes noticeable in the original everest. Won't the 36mm version be pretty close in size, though? I think that's what the new fella's on about. You're right Sean, my mistake. I purchased a Spitfire a 2 or 3 years ago (does not receive enough wrist time!) and decided to check up on what Eddie has in the product pipeline yesterday, wow a 36mm Smith's Explorer (+ beautiful automatic chrono)! I never pulled the trigger on 39mm Smith Explorer (I did not like the look of the minute markers on the dial), this checks all the correct boxes. I can not wait for this to become available. The Zeno has a particularly tall acrylic crystal which unbalances the watch in my opinion. I’m looking forward to some shots of Eddie’s new 36 to see how his turns out! Last edited by lughugger; 11th September 2018 at 23:12. Not to mention the rather worrying QA issues that Zeno has with the NOS AS movements that they are using at the moment. Having tried the old Everest and found it way too big, and experiencing a number of faults with ZEX's which I find to be the ideal size - this latest incarnation looks ideal. The original PRS-25 was made with that case size and dial design so as not to be yet another Explorer clone. From 25/11/2011 . . . "It was never intended to be an exact copy, just share a bit of the DNA :wink: Eddie" . Having said that I do like this new version. Just checked to satisfy my curiosity and the Zex is 14mm thick. The Everest is going to be 11mm. So Eddie’s new incarnation sounds like it’s going to be spot on. Lets hope nothing changes, or it will be a different watch. 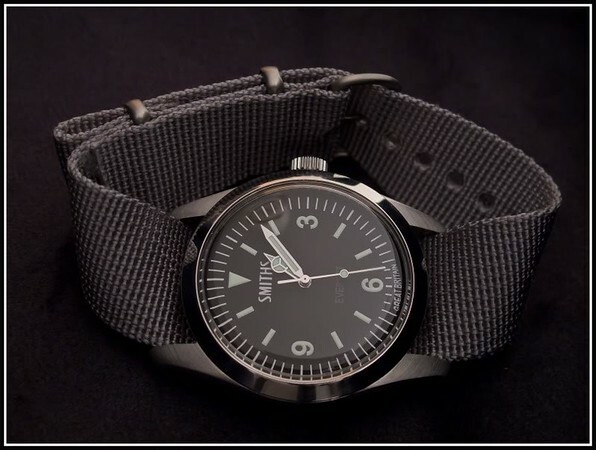 I like the look of the Smiths Everest , especially in this picture .I used to own an RXW Expievo ..a very similar watch which i stupidly sold and can't replace .I reckon i'll try the Smiths sometime . Glad I checked this thread out. Last time I looked the new Everest was due to be bigger. This is spot on for what I want and should stop me blowing 2 grand on a BB36. When should it be available? Eddie, wasn't the larger version supposed to be delivered this month? I believe the Everest in production/assembly has been stated to be 36mm case to crown. I wasn’t aware there were two version being produced... where did you read that? Eddie had already sent the 41mm into production some time ago. If you look at the earlier parts of the thread. Then a few fans (myself included) started asking for a 36mm version and Eddie tinkered with it and said it would be ready by Christmas (hopefully). I actually spoke to him by phone back in August and he said (at least as far as my memory serves me) that he was making both. On Page 2 of this thread he shows the prototype and on page 3 he states it will be ready (hopefully) by September. So unless he cancelled production in favor of the 36mm i would expect there to be 2 versions. Eddie had already sent the 41mm into production some time ago. Brilliant and thank you for the reply. I misread and assumed the 41 was then changed to only a 36. My father was keen on getting one but I wasn’t sure if it would be too small... apparently him and Eddie have similar sized wrists. Eddie has like a 7.5'' wrist. I just discovered this thread and I read that the new Everest will be available in 36 mm with upgraded specs (sapphire first of all) ! That's because the new clasp iosn't available in 16mm, 18mm is the smallest. Thanks a lot Eddie anyway, it is a stunning watch and I'm pretty sure I'll buy it. When it will be available (I need to fund also your "new" PRS-29 watch in the meantime) ? Currently being assembled ready for shipping on Friday. Hi Eddie is this the 36mm? When will it be in the website and how limited is the run?